When Myles Brady met Precious Davis for the first time during the summer of 2013, he knew he had to pursue a relationship with her. 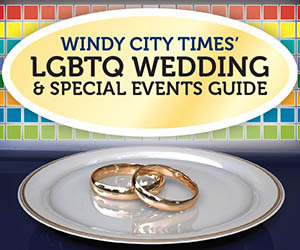 "The first time I saw Precious, I was at the Center on Halsted [the Center]," said Brady. "I felt like my entire world shifted and I knew right then that in order to be successful, I had to have her by my side. That's why I pursued her for a full year. She resisted me for quite some time, but that was good for me. I was able to do a lot of self-reflection and figure out what I wanted in life, and it turned out that Precious fit into my life goals perfectly. Also, the year I met her was the year I came out officially as trans and was introduced to the queer LGBT world, so that was a lot for me to handle." "I think I played hard to get, because when I met Myles I wasn't in a place to be in a relationship," said Davis. "I was working at the Center [as their Youth Outreach Coordinator] and working for the community was my focus. I was also very busy in my performing arts world. In the beginning you don't really know each other and, at the time, I didn't want to date anybody but Myles was persistent." They started dating on June 12, 2014, and Brady proposed on Feb. 3, 2015. "When I opened for Jennifer Hudson [at the Human Rights Campaign's #Turnitupforchange event], which was one of the favorite performances I've ever done in my professional career as a performance artist, Myles was hanging out with her bodyguards. Several weeks later, Myles called me to tell me that Jennifer's bodyguards told him that Beyonce and Jay Z were going to be at the Bean. I was at the office [at Columbia College] and was just finishing a training. I went downstairs and Myles was standing outside, so we ran over to the Bean and I turned around and Myles proposed to me. I had no clue and for me that's how Myles had to do it. I was so shocked and happy." The couple is planning to wed sometime in 2016. "We want to keep our wedding date under wraps so we aren't publicizing the date," said Davis. "We'll share our engagement photos, but to honor the privacy and intimacy of our relationship, we're keeping our ceremony to just our family and friends." Ahead of their wedding, Davis will appear on Say Yes to the Dress in January on TLC. The show helps brides-to-be find the perfect wedding dress from the bridal salon Lori's Bridal in Atlanta. "Precious will be the first trans woman to ever be featured on the show, and she is so deserving," said Brady. "I can't wait to see my beautiful bride walk down the aisle." "We're really excited for our wedding and we call ourselves the Trans Obamas," said Davis. "We love the Obamas for their work in community organizing and investment into the South Side of Chicago. As a couple, they're models on how serving your community can make a positive impact. The Obamas specifically made a huge impact on the South Side of Chicago and we intend to do the same. We're using all South Side vendors for our wedding. We're investing in our community with our dollars. As we move forward in our lives we're going to find new and innovative ways to serve the South Side." "Being from the South Side, it pains me to have to go to work on the North Side and see all the resources that are available there and then come home to the same neighborhood that I grew up in and there's nothing," said Brady. 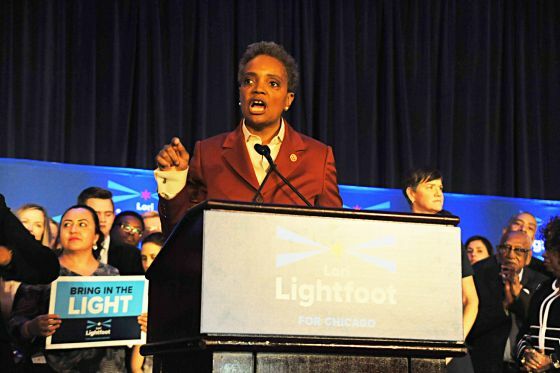 "I know there's a lot of LGBT and cisgender youth on the South Side and I want to make sure there's something there for them to invest in the future." The couple has caught the attention of Miley Cyrus' Happy Hippie Foundation and were featured in the foundation's #InstaPride campaign. Since then they've become friends with Cyrus and were her guests at this year's MTV VMAs. Davis also introduced Cyrus during the awards ceremony. "The foundation reached out to us via twitter after Miley read about us in The New York Times," said Davis. "Then Miley reached out to us online because she wanted to do a campaign highlighting trans resilience and it was a blast. The cool thing about the photo shoot was how intersectional it was. The representation of trans and gender nonconforming identities featured in the campaign was fantastic. The next generation is fearless and is creating new paradigms that awill serve as liberation for years to come. Miley really did her research on everyone and created profiles of us with our stories. She looked at everyone and listed what inspired her about everyone. She listened and showered us with love during the whole shoot. "To be involved with the campaign and be a part of Miley's coming out as pansexual was powerful. We were a part of a cultural moment. We had really powerful conversations with Miley about culture and gender and how the connecting factor for many trans and gender nonconforming people is the mighty resilience that comes from surviving oppression. It was truly inspirational. Resilience is a cause that we support and we will always lend our voice to that. We also believe our love is revolutionary and are proud to show that #blackloveisbeautiful." "I really enjoyed having that one on one time with Miley and hearing her journey," said Brady. "The platform she has influences a lot of people and the fact that she's using her voice for a marginalized community should be applauded." The couple has been invited to and visited the White House twicemost recently at the June Pride reception for LGBT Pride Month; before that, it was during March's Black Emerging Leaders meeting through the National Black Justice Coalition and Human Rights Campaign. Both Davis and Brady explained that it was an honor to be invited to the reception and were humbled by the experience of being in the room with the first Black president of the United States. "[It was great] to interact in that space with members of President Obama's administration who are so committed to diversity and inclusion and, specifically, are interested in hearing actual voices from the LGBT community and people of color is work in motion," said Davis. "There are several people within his administration who inspire me. When you're at the White House, the grandeur of American history sweeps over you and it's hard to describe the historical context of a country whose roots were embedded in slavery. "To meet the president and be thanked by him for the work that you're doing is surreal. Starting life as a poor little Black boy from Omaha, Nebraska, to being nearly 30 years old and shaking the hand of the president, your life feels worth something. I felt validated and inspired to keep making a difference. I do have future political aspirations, so to be in Washington, D.C., and be able to have a great dialogue with the legendary Nancy Pelosi about trans equality and the future of America is a dream come true." "It was an amazing experience being at the Pride reception," said Brady. "To have the president invite me to the White House and then have a private meet and greet with me and my fiancÃ©e was very cool. I thought we'd never have a Black president." Davis has packed a lifetime of achievements into a short period of time. She currently serves as Columbia College Chicago's Assistant Director of Diversity Recruitment Initiatives and recently celebrated her one year anniversary in that position. Davis also received her Bachelor's of Arts in Liberal Education and Musical Theater from Columbia College. As assistant director, Davis trains faculty and staff about diversity and inclusion; does recruitment focusing on diverse populations across the country and is responsible for "The Campus Wide" diversity initiative which includes programming and events as well as policy creation. "One of the cool things about Columbia is I always knew that I wanted to come back as staff, because the community is so diverse and there's a thriving mechanism of creativity bursting out all over the entire campus, and I thrive in that environment," said Davis. "It's such a progressive, liberal environment where people are always talking about the shifting of the culture, and how we continue to author the culture of our time as an institution. Columbia has been a really great place for me and it's come full circle for me. It's a place where I asked a lot of questions about my life, and my life's work, and what I wanted to do. Coming back and overseeing "The Diversity Initiative" brings me great joy. "Diversity is a huge component and passion of my life. My commitment to social equality, social justice and educating people on how to examine and erase bias, bigotry and prejudice in their communities is at the forefront of the mission of what I try to do each day. If I have done that, than I've done my part." Prior to her stint at Columbia College, Davis was the youth outreach coordinator at the Center where she oversaw youth events and the HIV prevention project. She also spent three years as an artistic associate at About Face Theatre while also performing in Boystown as a nightclub act. 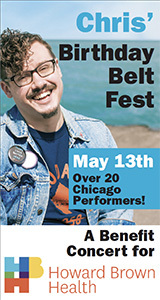 "One of the reasons why I loved performing in Boystown was because I got to be Precious," said Davis. "I found out that Precious wasn't a gig, she was a true being and life force and I wanted to embody her daily. When I came to the realization that I wanted to transition and be Precious every day, Precious the entertainer no longer needed to exist. I am not a caricature and I felt that nightlife no longer served me. I had so much fun and kept the name Precious to honor my journey and place in Chicago history." Davis explained that what led her to work at the Center was her lifelong passion for social justice. She went to a community meeting for Take Back Boystown in Lakeview and it was eye opening for her. Davis noted that she was respected as a performer, but when those same people who came to see her shows would disrespect homeless youth and say really racist comments that were triggering for her, she knew she had to do more. She decided to leave the Center after three years because it was time for her to go to the next level professionally. The life that Davis has carved out for herself here in Chicago is a far cry from her upbringing in Omaha, Nebraska. She grew up in the Bible Belt in a Pentacostal Church where she didn't see other people who looked like herself. In other words, it was a very Caucasian, homogeneous environment. "Church was the central focus of my life," said Davis. "Growing up in a spiritual environment was great for me because I learned about love and serving the community, but I always knew I would leave Nebraska one day. I had a very tumultuous childhood and abusive upbringing filled with many traumatic situations, one right after the other. It's a miracle I'm not a bitter person. My childhood sucked. I'll never forget my grandmother dropping all my things off in seventh grade in white trash bags with a Christian Avalon CD taped to it that said, 'I can't deal with you anymore.' She never came back. She left me." Davis attended the University of Nebraska-Lincoln and studied abroad in London and Paris. When she returned to the states, she didn't want to go back to Lincoln, so she started looking at schools in Chicago. She also wanted to be in a place where she could take her art to the next level as a performance artist. "Chicago had the Baton Club," said Davis. "Seeing those performers who were working in a full-time review setting inspired me. My goal was to do what they were doing. There was something about the women of the Baton that I identified with. The Baton is one of the reasons why I came to Chicago to finish college. I remember looking at Maya Douglas on myspace, seeing something that I wanted to be. " That's how she ended up at Columbia College. Davis explained that the college had the diversity she was craving as well as a great musical theater program. She's been a performer since she was four years old and spent her early years doing community theater. Davis currently serves as one of the co-chairs of the local host committee alongside Mary Morten, Joshua Oaks and Kenny Martin-Ocasio for the National LGBTQ Task Force's Creating Change annual conference. The conference will be held at the Hilton Hotel Jan. 20-24, 2016. In order to become a co-chair, Davis had to apply and she was chosen because of the wide network of people that she can call on and the experience she's had with transgender youth and spirituality issues of which she oversees as co-host. Davis has been involved with a number of organizations including Affinity Community Services, Project VIDA, Illinois Safe Schools Alliance, the National Conference for Community and Justice STL, Trans Tech Social Enterprises and Lurie Children's Life Skills Program. She's also given speeches or been on panels at many institutions including the University of Chicago, Northwestern University, the University of Michigan and the Museum of Contemporary Art and has collaborated with the Chicago Community Trust as a part of their On The Table campaign as an ambassador, performed at Soho House and did a Transgender 101 training for the Chicago School for Professional Psychology. Davis gave keynote addresses at Transgender Day of Remembrance events at James Madison University in Harrisburg, Virginia, on Nov. 17 and also moderated The Trans Visibility Panel at The International LGBT Leadership Conference hosted by the Victory Institute in Las Vegas, Nevada on Nov. 20, the day after her 30th birthday. "I [felt] honored and blessed to be invited to speak during the Transgender Day of Remembrance week," said Davis. "It's really important that each and every one of us specifically in the LGBT community have a voice in empowering the lives of trans people and stopping the heinous rates of violence that trans and gender nonconforming individuals experience." 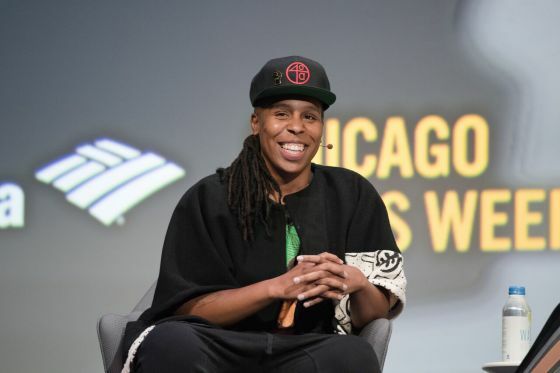 She also received the "30 Under 30" award from this publication in 2012, was included in the 2014 Trans 100 list and curated the season opener "Transmopolitan Transgender Resilient" for OUT at the Chicago History Museum. Brady, 34, recently celebrated his anniversary as Howard Brown Health Center's Transgender Outreach Coordinator. "I oversee all of the agency's transgender recruitment strategies ," said Brady. "I facilitate support groups, drop-ins and act as a resource for the trans community. I consider myself as linkage point to health services for the trans community in Chicago. I'm usually the first person people get in contact with when they have questions about trans issues and the trans community." Brady grew up in Hyde Park and attended private school before attending college in California. He stayed in California after college and lived in the San Francisco Bay Area for eight years, working as an organizer within the Black community of Oakland. Since Oakland was the birthplace of the Black Panthers, Brady was inspired to become a member of that organization; his father had been a member as well. Following Brady's stint in California, he went to Arkansas to take care of his ill grandparents. Brady spent four years as the only Black EMT in the area where his grandparents lived. "I was blessed to have a very supportive family," said Brady. "At my private school, I was the only Black kid and also the only queer kid I knew. I began to transition as soon as I came out of my mom's womb. I always knew what I was I just didn't have the language for it. I've always been on this journey of transitioning." Both Davis and Brady see themselves as social justice warriors and hope to be doing this work for many, many years. They also see themselves in full-time ministry in the future. Along with their work at Columbia and Howard Brown respectively, Davis will continue to do freelance consulting with nonprofits and corporations regarding diversity and inclusion. Davis also recently did a diversity training for the Peace Corps and has worked with many HR professionals and employees at various companies on trans cultural competency as well as trans 101 information sessions. When not working or diving into activist work Davis loves to watch reality TV, order Grub Hub and shop online for shoes and domestics while Brady enjoys sports; the outdoors including hikes, camping and sitting by the lake as well as talking about spirituality. The couple enjoys the solace of their condo in Hyde Park, spending time together in the condo building's hot tub and pool while blasting Drake, and traveling. See www.preciousdavis.com/ for more information.